Luis Fraga, an esteemed scholar and pioneer in the field of Latino politics and co-director of Notre Dame’s Institute for Latino Studies, has won a major award from the Midwest Political Science Association. The organization’s Latino/a Caucus will present Fraga with its Distinguished Career Award at the MPSA 2017 annual conference April 6-9 in Chicago. It will hold a special roundtable honoring his research, teaching, and service record. Fraga and other panelists will discuss his collaborative work, students he mentored, people who influenced and mentored him, and other topics. Fraga, the Professor in Transformative Latino Leadership and the Joseph and Elizabeth Robbie Professor of Political Science, joined the Notre Dame faculty in fall 2014. He studies the politics of race and ethnicity, Latino politics, immigration policy, education politics, voting rights, and urban politics. His most recent book, Latinos in the New Millennium: An Almanac of Opinion, Behavior, and Policy Preferences, creates a comprehensive profile of Latino political life in the United States. After graduating from Harvard University and earning his Ph.D. at Rice University, Fraga served on the faculty at the University of Washington, Stanford University, and the University of Oklahoma. His other books include Latino Lives in America: Making it Home, the high school text United States Government: Principles in Practice, and the co-authored book Multiethnic Moments: The Politics of Urban Education Reform. A past vice president of the American Political Science Association, Fraga was one of six principal investigators on the Latino National Survey, the first-ever state-stratified survey of Latinos in the U.S. 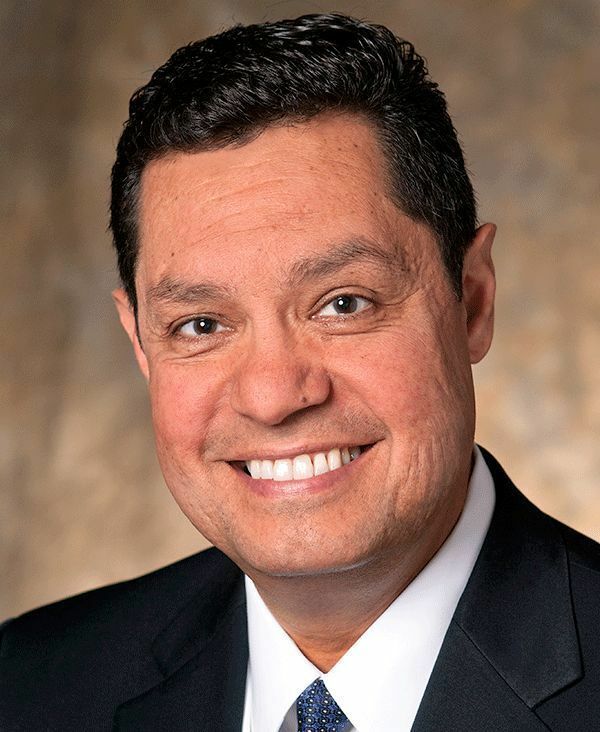 In 2011, Hispanic Business magazine named him one of the top “100 Influentials” in the U.S.
Fraga was a member of President Barack Obama’s Advisory Commission on Educational Excellence for Hispanics, and co-chaired the Postsecondary Education Subcommittee. Previous winners of the MPSA award include Valerie Martinez-Ebers, director of Latina/o and Mexican-American Studies at the University of North Texas; and John Garcia of the Center for Political Studies at the University of Michigan. While the award offers an opportunity for Fraga to reflect, he remains enthusiastic about what lies ahead for his research, teaching, and ILS — especially its new Latino Studies Scholars Program, a merit-based scholarship and curriculum for undergraduate students that will attract and shape leaders to empower Latino communities. “The intellectual energy of my colleagues, support from administrators, and the ethical ambition grounded in Catholic values at Notre Dame makes this the perfect place for me to continue to do this work for years to come,” Fraga said. Originally published by Josh Weinhold at al.nd.edu on January 25, 2017.